Research has shown that cardiovascular disease is one of the leading causes of death in The United States. 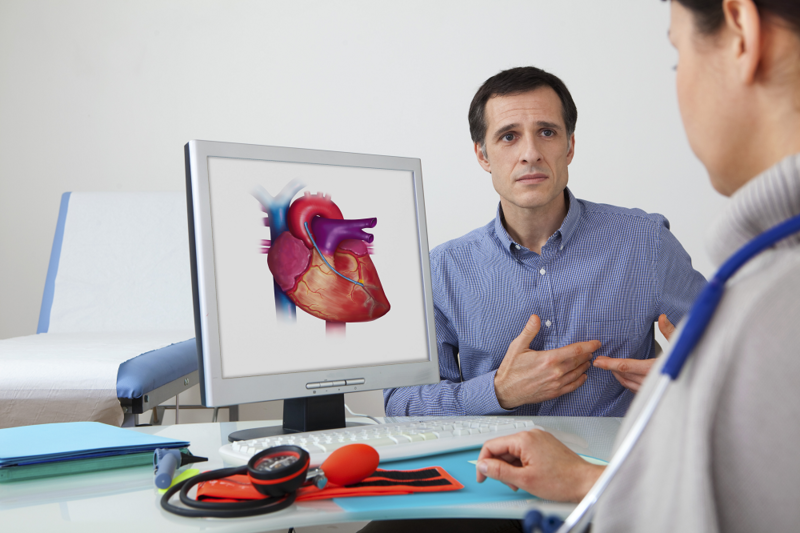 Cardiovascular disease impacts both men and women. Many people are unaware of the symptoms of heart disease until something bad happens like a stroke or heart attack. That's why it is important that you visit your cardiologist so that you can be made aware of some of your risk factors. By catching the signs early, you can receive treatment before things get worse. Here are some symptoms to keep an eye on that are indicators that you should go visit our Phoenix cardiology clinic. When your blood pressure is too high, your arteries may eventually become damaged. If your blood pressure is consistently high, then you should visit your cardiologist. They can help you get your blood pressure under control. High blood glucose levels can damage your blood vessels. People with diabetes may deal with issues such as high blood pressure and obesity. The nerves that control your heart could also be damaged. Leg pain could be a sign that you have peripheral artery disease. Peripheral artery disease can cause your ankles to swell, along with some circulation issues. Your veins may become damaged, which can cause blood clots. Keep in mind that your body produces positive and harmful cholesterol. Harmful cholesterol can cause plaque buildup in your arteries, while good cholesterol helps break down the plaque. When your bad cholesterol numbers get too high, your heart may be impacted. If you are suffering from any of these symptoms, contact us, your local Phoenix cardiologists, so that you can have your heart checked. Keeping track of your heart health should be a major priority in your life. Do not wait until it’s too late. Call us at (480) 889-1573 to schedule your appointment with our Phoenix cardiology clinic. We offer a centralized schedule number for all of our locations in Arizona for your convenience.